Editing relies heavily on the computer’s resources, and there will more times where your program might have an error or use too much of your resources. The thing about great software is that you should be able to control how much resources the program uses. There are tons of video compression software programs out there, the thing is a few of them might be paid. However, quality always comes with a bit of a price tag, of course there are few bright spots in the form of freeware out there. So when picking the right app for your Mac, take into account your choice in the matter. You might end up with high grade quality videos even with a free piece of software. A good program to check out when you’re in the market for one that strains your budget is Adapter. It deals in both some audio and the most popular video formats. It encodes speedily and the compression methods that it uses can keep a relative amount of quality. It does a better job with audio though, but that’s because they don’t need much compression. That is, of course, if you don’t convert any .Flac files. Sometimes easy programs are better for those that wish to have a quicker experience when it comes to editing. User-friendly programs are often favored over those that have too many options, which is why streamlining is sometimes the best option. Smart Converter takes ease of use into account and is surely easier to approach, which is good for those who can’t handle a heavy duty professional program. It can encode and compress at a relatively fast speed and the videos turn out pretty high quality. Roxio’s little app for the Mac is pretty powerful, however, it supports the DVD compression a little better, and burns the standard 4.7GB DVD, which is impressive because it can do that with a commercial 9GB DVD. 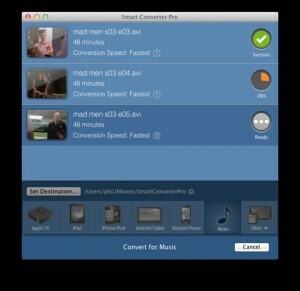 It can also work together with your TiVo if you enjoy streaming from your Mac. The thing about this program is that it is pretty limited, which is a bit of a down side when it comes to more professional endeavors. You can make a pretty awesome DVDs though, which is a great thing if you want to make some stuff of your own. The great thing about Adobe is that it is an expansive program with a lot of reach. 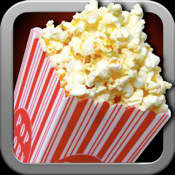 It comes with features that are used to encode video into different formats. 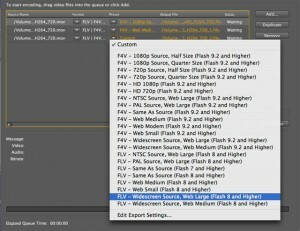 You can expect that compression speed and encoding are fast, and the quality is impressive all around. You’re going to have to spend a lot of money though, and some programs perform better than Adobe does. An impressive little feature that Compressor shows off is the power to use multiple linked computers to process the encoding, which makes it move at a blazing speed. 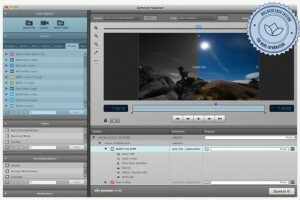 The program also works well with web videos, and creates them with the highest quality you can make them with. 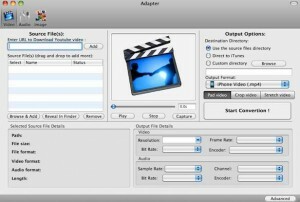 It can also create DVD formatted videos, which gives it a double function. If you’re well armed with cash, and you really need a professional grade program to edit videos on, then Episode is the choice you need to check out. This program has options for every possible format, and the program is based off of industry standards. Independent filming is sure to benefit from this program, and webcasts and shows online will also get some big quality out of this app. The problem; it costs $500 but as was mentioned, so you probably won’t mind setting aside some cash for it. 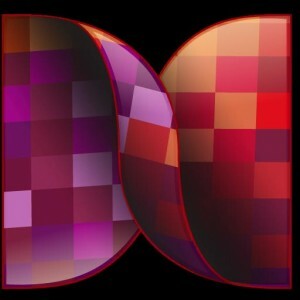 An answer to more mobile videos, Miro is a great program, which really jumps into the mobile device craze. It presents a ton of presets for different devices, and makes it easier for you to make those webisodes work on androids and iPhones. This is a prime program for people who like to optimize their videos, and the best part is that it’s free to use, so check out the program now. Independent filming takes a lot of quality in order to become great. The best choices in budgeted program always have to be within a certain price range. Wondershare costs around $40, and has the ability to splice segments together smoothly and with no issue. You can also add on a Watermark for original videos you want protected. Of course, you can’t deal with a lot of other bonus features that some programs might offer. A popular choice in free software for editing is Handbrake, as the program is pretty powerful. It can rip a lot of choices, from Blu-Rays to DVDs, and can convert them into the best formats for consoles as well as DVD formatted videos. At the same time, it remains one of the most commonly used open source programs, so you know you’re going to get a ton of updates almost constantly. If you aren’t satisfied by the way the program’s quality comes out, then you can use a combination of programs to make the best result. This is the top of the line program to choose, and even industry professionals turn to this program at times. Priced at a steep $800, it has all the bells and whistles, and a few that you might not know about. It’s the best program to check out when you have a need for an epic program that can jump between great videos for the net, and full on short films.